Experts now believe that modern teeth originated from the scales of fish. 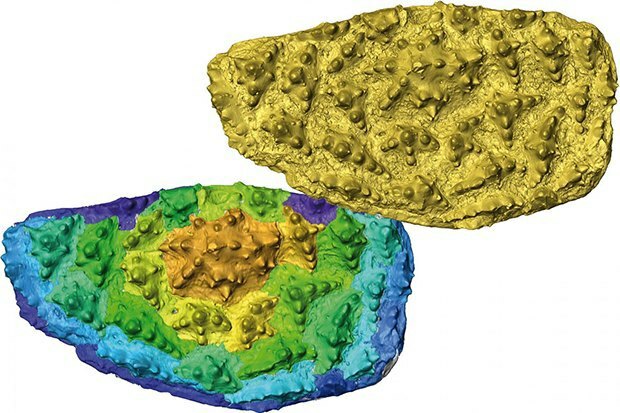 Researchers Martin Rücklin and Philip Donoghue of the Naturalis Biodiversity Center in the Netherlands and the University of Bristol in the U.K. have published a paper in The Royal Society's Biology Letters, analyzing jaw samples of the 410 million year old species, Romundina stellina. The upper mouth plate had very small teeth. Older specimens of the same species have been found, but teeth were not present, leading scientists to infer how they may have evolved. In order to visualize the upper plate, 3D x-rays were fed onto the sample at every angle, generating an image which could predict how each ridge had formed. Upon analyzing the tissue, the teeth were found to contain the same biological material as human teeth and modern fish scales, leading researchers to believe that similar evolutionary trajectories were at play in the development of other bodily organs.